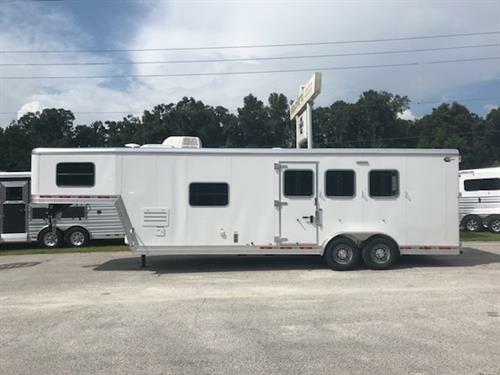 2019 Cimarron (3) horse living quarter trailer with a 10’ Outback Conversion that has an A/C unit, furnace, couch, corner chair, sink, convection oven, 6cu fridge & freezer, cabinets, area for a t.v., and a stereo system with indoor/outdoor speakers. 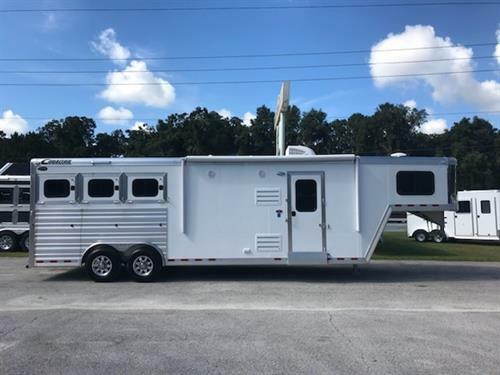 The bathroom has a toilet, radius shower, sink with medicine cabinet, large closet and a walk thru door into the horse area. 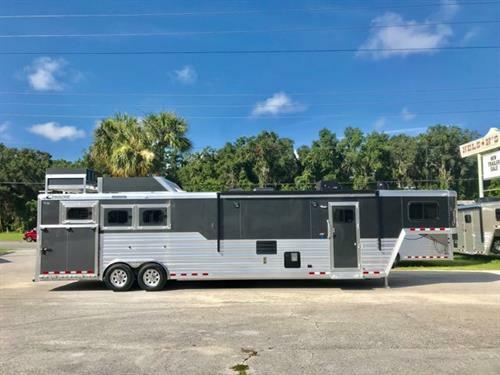 (REORDERED, ARRIVING 2/2019) 2019 Kiefer Genesis (3) horse living quarter trailer with a 10’ LSR Conversion that has an A/C unit, furnace, microwave, (2) burner cook top, sink, couch, 6cu fridge & freezer, cabinets, large closet space and a camper door! In the bathroom you have a toilet, radius shower, sink with medicine cabinet, linen closet and a walk thru door into the horse area.